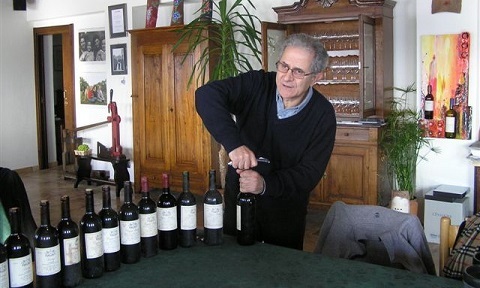 Although Elio Altare is best known for the superb Barolos he crafts from the Arborina and Brunate vineyards, his entire range is among the most consistently brilliant in Italy. This truly once in a lifetime retrospective tasting traced the development of Altare’s Vigna Larigi, an old-vine Barbera made from a tiny one-hectare plot on the Arborina hillside. For the occasion Altare opened every vintage of Larigi from 1985 to 2006 - with the exception of the 1983 and 1984, which could not be located – a rare event by any measure, most importantly because Altare himself had never tasted so many vintages of the wine in one sitting. All of the bottles came from Altare’s personal collection, meaning that provenance was unparalleled. Readers will note that I have refrained from providing drinking windows for that very reason, as it is nearly impossible to replicate the sheer joy and profoundness older, perfectly-stored bottles offer. Still, there is a more important lesson to learn here, and it is that if purchased upon release and stored properly, top vintages of Larigi are capable of providing 20+ years of fine drinking. Needless to say, this tasting provided a unique look at the career of one the world’s great vignerons. Altare remains perhaps the most ardent proponent of the modern school of winemaking in Piedmont. He was among the first producers to shorten fermentation times radically, use French oak for his wines and demonstrate that Barbera could yield wines of far greater pedigree than the over-cropped, acidic versions that were the norm when he was starting out. Altare’s role in inspiring an entire younger generation of growers to estate-bottle their wines and leave behind the production of grapes and bulk wine can’t possibly be overestimated. One of the frequent criticisms hurled at Altare over the years was that his wines wouldn’t age. That misguided view has been proven wrong time and again by the splendid maturation of Altare’s Barolos from the 1980s, as it was again on this day with a simply superb set of Barberas. As Larigi ages, it takes on a surprising level of complexity in its aromas and flavors, and the 100% new French oak becomes virtually undetectable, especially in the very finest vintages. Altare’s first vintage of Larigi was 1983, but unfortunately neither the 1983 nor 1984 could be found. Readers who have visited the estate know that Altare is down to just a few bottles of these early wines, so all things considered, it is remarkable that he still has a handful of bottles of all the remaining vintages! The 1985 Vigna Larigi offers up sweet, floral aromatics that meld seamlessly into a core of candied red cherries. The wine possesses much of the sweetness that is typical for wines of this warm vintage, but sadly if fades rather quickly in the glass with the appearance of leather and mushrooms that dominate the aromatic and flavor profile. At this point, the 1985 needs to be drunk up. 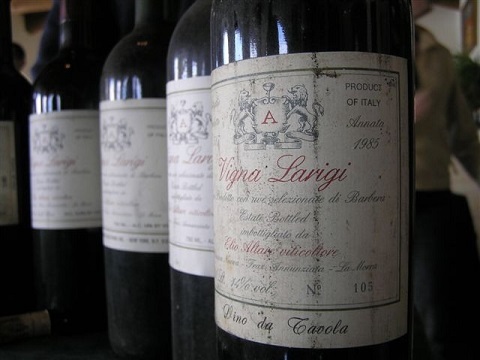 The 1986 Vigna Larigi is the first in what will turn out to be a series of remarkable wines. Graphite, wild herbs and black cherries are some of the nuances that emerge from this deeply-colored Barbera. The fruit remains vibrant and incredibly pure all the way through to the long, polished finish, and he balance is simply awesome. In this hail-plagued vintage Altare harvested literally berry by berry, and the proof is in the glass. This Barbera is so alive and full of life it is hard to believe. The 1987 is a mid-weight, floral Vigna Larigi. It is slightly more forward and softer than the 1986, yet possesses superb balance in its ripe fruit, leather, spices and flowers. Altare’s 1988 Vigna Larigi is an explosive wine that bursts from the glass with generous fruit. The wine reveals superb balance in its ripeness, aromatics and structure, all of which come together in a vibrant, delineated style. This is another vintage that will drink well for at least another few years. The 1989 Vigna Larigi easily lives up to the reputation of this historic harvest. A full-bodied, powerful, intense wine, the 1989 Larigi possesses extraordinary purity in its fruit, along with sweet notes of menthol, minerals and flowers that come to life on the finish. In a word: spectacular. Based on this bottle another ten years of fine drinking seems like a safe bet. The 1990 Vigna Larigi is yet another wine that expresses the qualities of the vintage in spades. It is a fat, fruit-driven Larigi that blossoms on the palate in a generous, expansive style. Sweet notes of French oak linger on the finish. The 1990 should continue to age well on its deep core of fruit. I have long believed the level of a producer can only be truly understood by looking at the small vintages, and this next set of wines is truly surprising. To be sure, none of the wines of the early 1990s is extraordinary, but they reveal so much about what it means to be a top-level grower. Altare’s 1991s have always been wines that transcend the vintage, and that is also the case with the 1991 Vigna Larigi. One of the things I find most remarkable about this wine is its freshness, even at 18 years of age. The fruit remains intact and the wine’s balance is beyond question, even if this is a relatively compact Larigi. The slightly hard tannins that define this vintage will always be a part of the wine’s DNA, but this is a fine a bottle as was produced in what was a very difficult year. The 1992 Vigna Larigi is dominated by notes of greenness that are the legacy of this rain-soaked vintage. The wine’s color is surprisingly intact and the fruit is fairly generous, especially considering how difficult the growing season was. Altare’s 1993 Vigna Larigi is easily the best of these wines from the early 1990s. In many ways it is similar to the 1988 in its floral aromatics and superb balance. Nothing in particular stands out, yet the wine reveals gorgeous density in its fruit in a smaller-scaled style than is often the case. The 1994 is a delicate, slender Larigi. The wine shows good freshness but modest size and complexity, with green, herbal notes that tend to dominate its flavor profile. 1994 was the first vintage Altare employed rotary fermenters, but it would take a few years before the new technology was felt in the wines. Incidentally, a bottle of the 1994 Langhe Arborina that Altare opened after this tasting was impeccable; fresh, harmonious and delicious. That wine saw an unheard of 40 hours of maceration on the skins and was aged in 100% new oak. Guess what? It was in perfect shape. The 1995 Larigi offers better balance than the 1994. Here, too, herbal elements are present in the wine, but there appears to be more fruit and volume to counter those nuances. 1995 was a challenging, hail-plagued vintage, but in that context, this is a strong effort. The 1996 Larigi is a rich, weighty Barbera that in many ways seems out of character for a cool vintage that produced so many stern, angular wines, but this is also the first important vintage in which Altare used rotary fermenters, something that is clearly present in the wine’s sheer density and concentration. The 1996 Larigi remains fresh and vibrant, with persistent notes of sweetness and French oak that carry through to the finish. Altare’s 1997 Larigi is very reminiscent of the 1990 in the way it covers the every nook and cranny of the palate with ripe, opulent fruit. This is a grand, sweeping Larigi endowed with superb balance and plenty of style. Once again, the wine’s poise and sense of harmony is impeccable. The 1998 Larigi is part of a huge group of wines at the property – including the 1997 Barolos – that was entirely ruined by a batch of bad corks. As expected, the wine was indeed tainted, something that was all the more disappointing considering how vibrant and otherwise beautiful it was. The loss of these wines remains heartbreaking. The 1999 Larigi is a firm, intense Larigi very much in the style of the great 1989. Vibrant fruit and expressive, perfumed aromatics are framed by firm, yet harmonious tannins. Lingering notes of sweetness come through on the intense finish. Altare’s 2000 Larigi is a big, sweeping effort loaded with fruit. This full-bodied, rich wine needs time for the oak to integrate, but its balance is superb, and a long drinking window lies ahead. The 2001 Larigi is another modern-day 1989. A vibrant, powerful wine, the 2001 reveals stunning depth, clarity and precision in its layers of perfumed fruit. Simply put, it is a profound Larigi. The 2003 harvest was the hottest on record in 50 years. The 2003 Larigi reflects the qualities of those conditions in its super-ripe red cherries, flowers and spices. On its own, it is as good a wine as was made that year, but it clearly suffers in comparison with the best vintages. Today the wine lacks a measure of freshness and clarity, something which won’t change over time. A few additional years of bottle age should help the new oak integrate. The 2004 is another profound Larigi. Silky tannins frame a core of refined, elegant fruit. The aromatics are particularly expressive, and the wine boasts superb balance, which should allow it to age gracefully for years. It is an awesome Larigi! The 2005 Larigi is a relatively small-scaled wine that in many ways is reminiscent of the 1993. Today the wine comes across as quite floral and in need of a few years to fully absorb the oak. It is another wine defined by simply gorgeous overall balance and harmony. 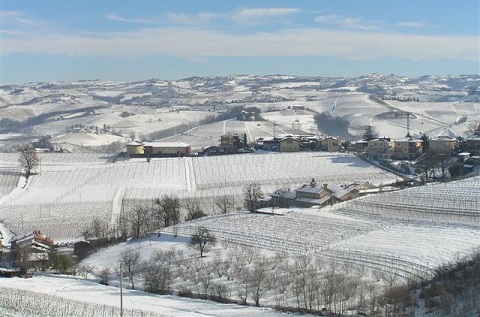 The 2006 vintage was one of the most difficult growing seasons in Altare’s career, as he suffered extensive hail damage in nearly all of his vineyards. His 2006 Larigi is similar to the 1995 in that herbal tones are rather prominent. The 2006 is a wine to drink relatively young. As the fruit fades, the green elements will become more pronounced, but for now a measure of plumpness remains which gives the wine its sense of poise. A quick trip to cellar provided an opportunity to get a glimpse of the 2007 and 2008 Larigis, both still in barrel. The wines clearly reflect the qualities of their respective vintages; the 2007 is warm, ripe and opulent, while the 2008 is big and muscular. These will be fascinating wines to follow over the coming years. We finished with a sampling of Altare’s 2007 and 2008 Barolos, also from barrel, but those notes will have to wait for another article. My mind remained focused on the great Barberas we had tasted. In top vintages - 1986, 1989, 1990, 1997, 1999, 2000, 2001 and 2004 - Larigi is easily one of the world’s great wines. Note: From 1983 to 1993 Vigna Larigi was a Vino da Tavola. In 1994 Altare adopted the Langhe Rosso designation and changed the wine name to simply Larigi.